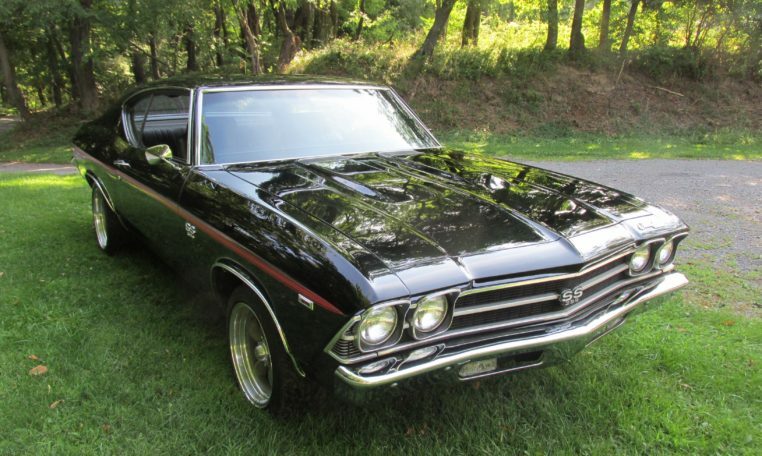 Factory SS 396, 4 speed, fully restored. 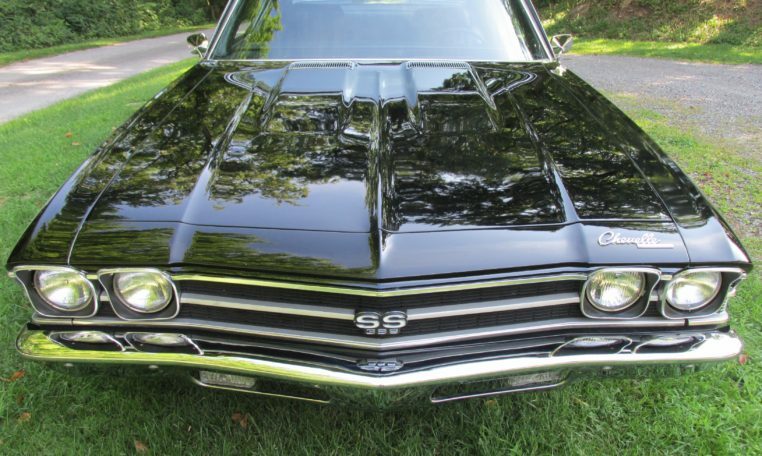 If Darth Vader drove a car, it would be this black on black 1969 Chevrolet Chevelle SS396. 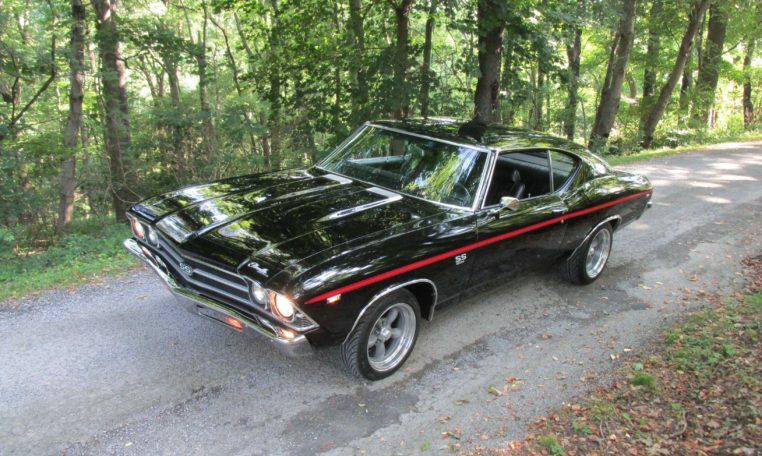 It’s sinister presence is undeniable, and it begs to be driven hard. 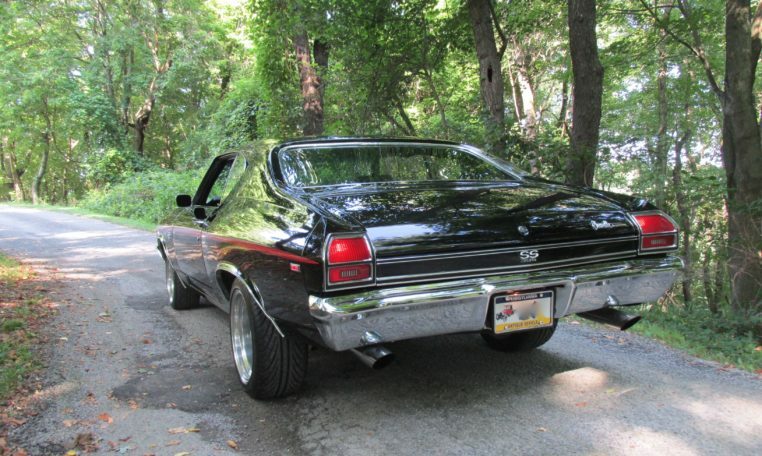 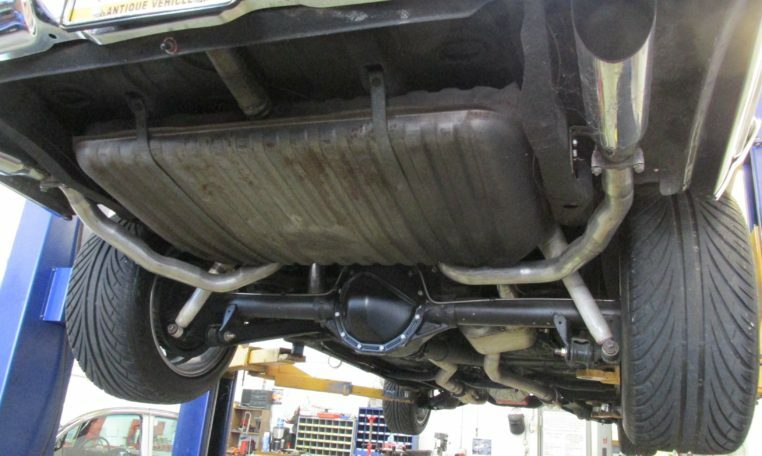 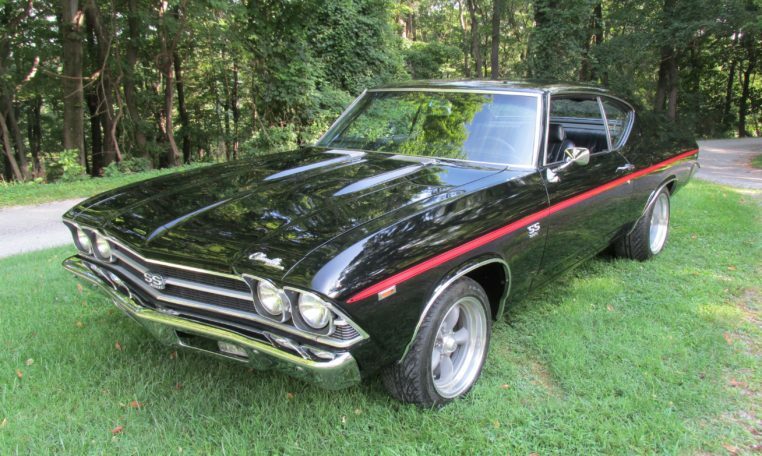 1969 was a very popular year for Chevrolet’s mid-size Chevelle, and for good reason. 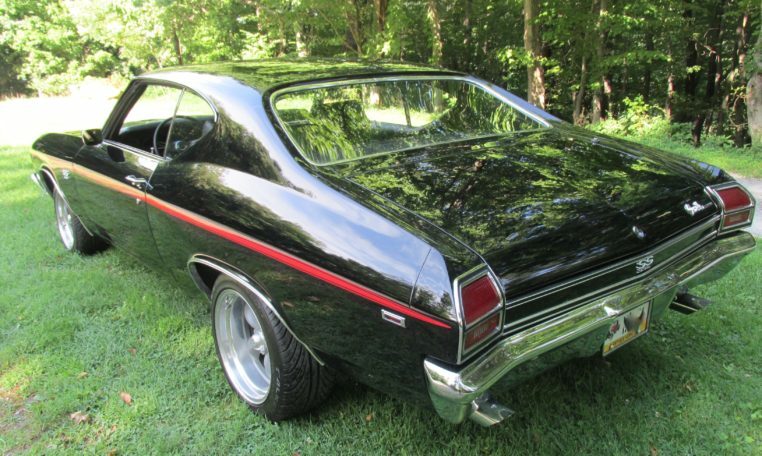 With its comfort, performance, and style, it blew away the competition. 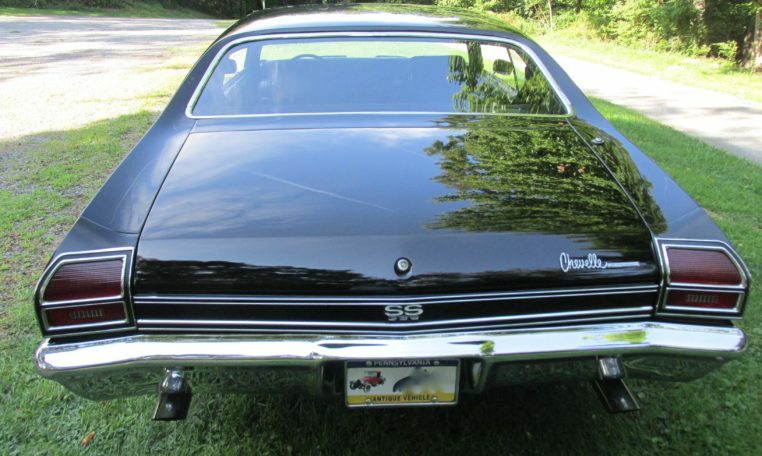 At the top of the range was the SS396 Sport Coupe. 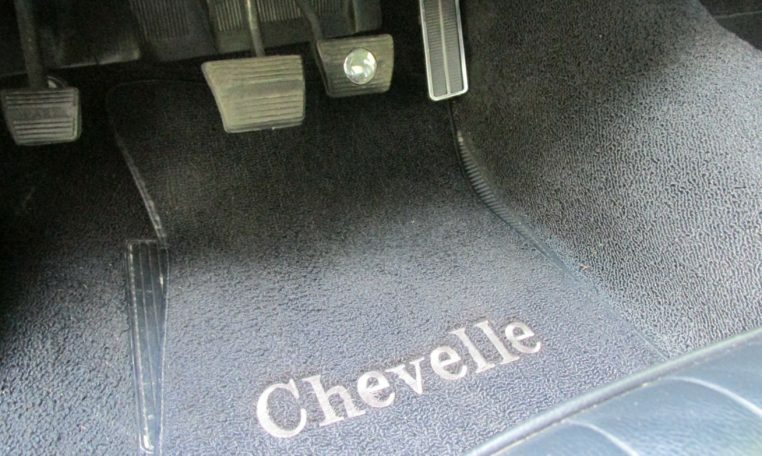 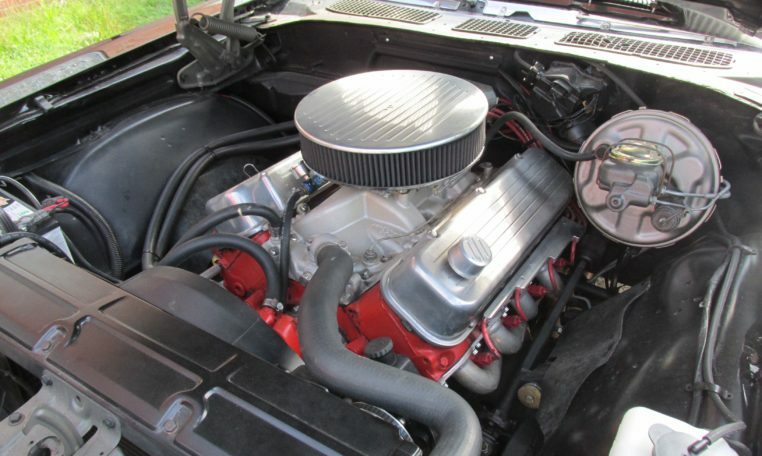 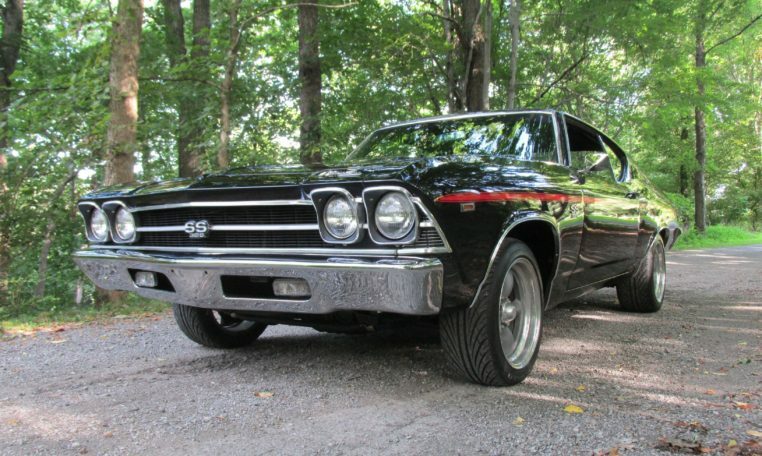 This 1969 Chevelle is a real Z-25 optioned SS396 built in the first week of June 1969. 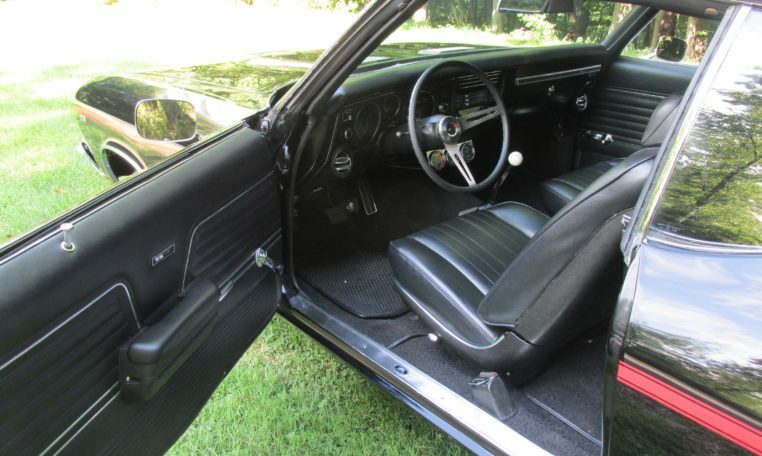 It’s fully restored with only a few tasteful modifications. 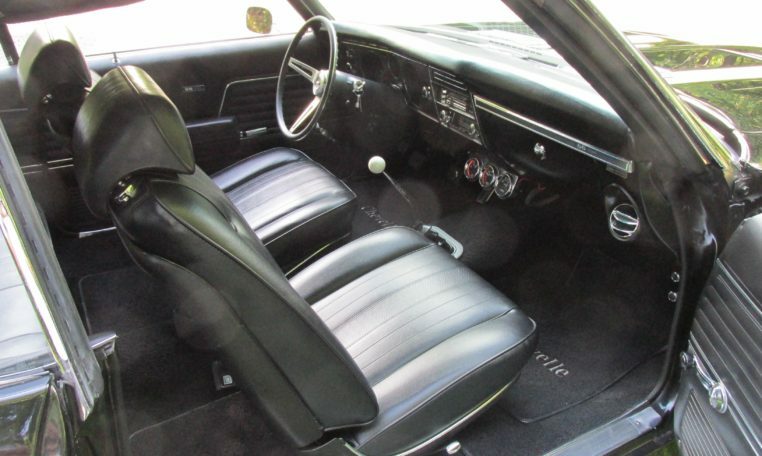 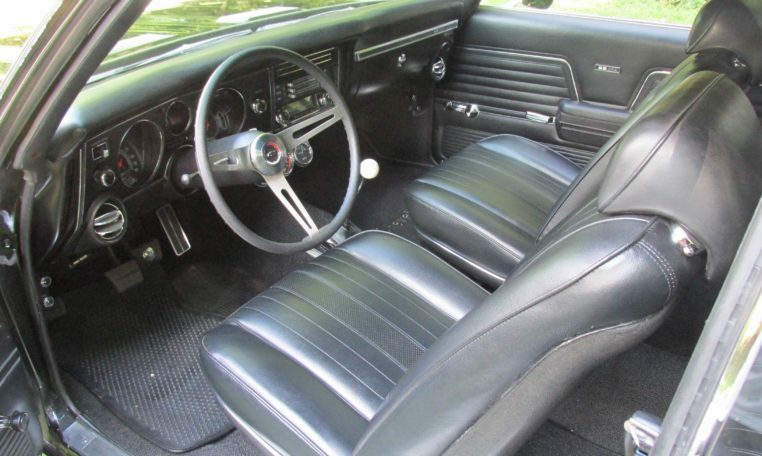 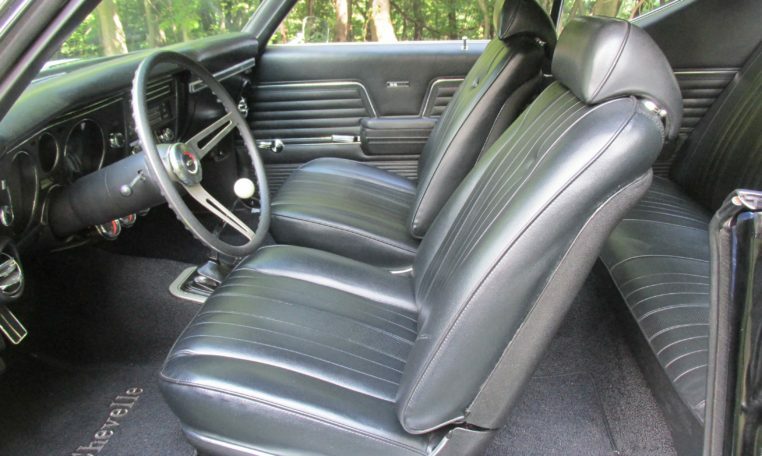 The interior of this Chevelle is perfect. 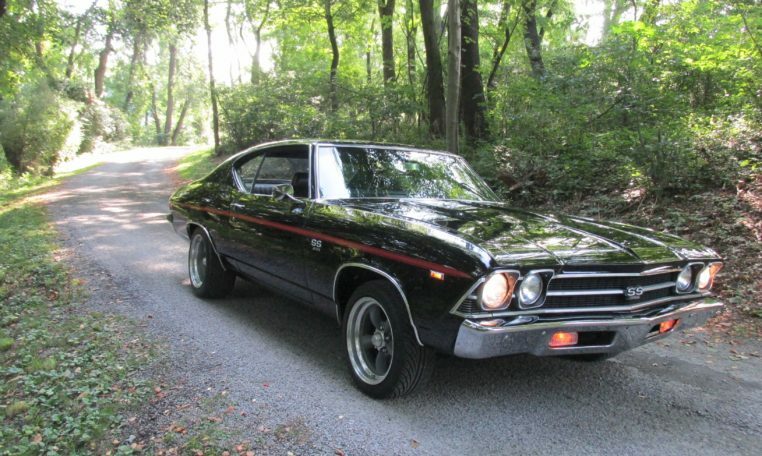 One of the best we have seen on any Chevelle. 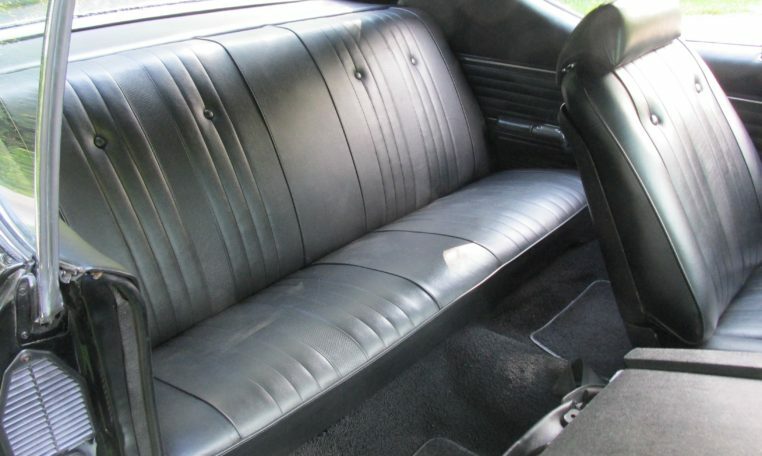 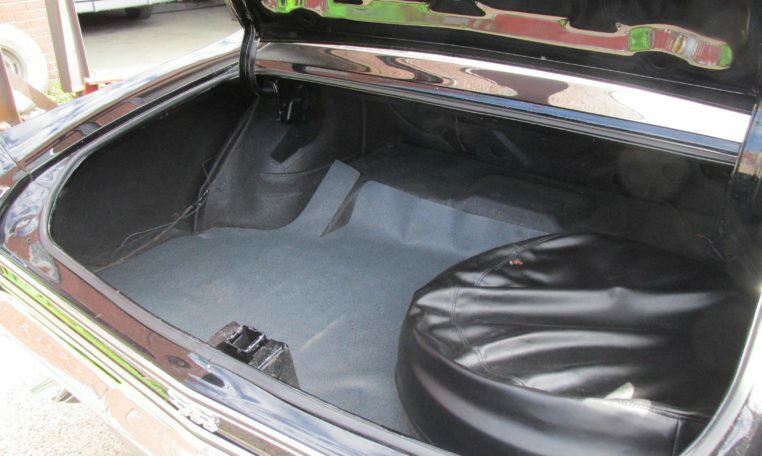 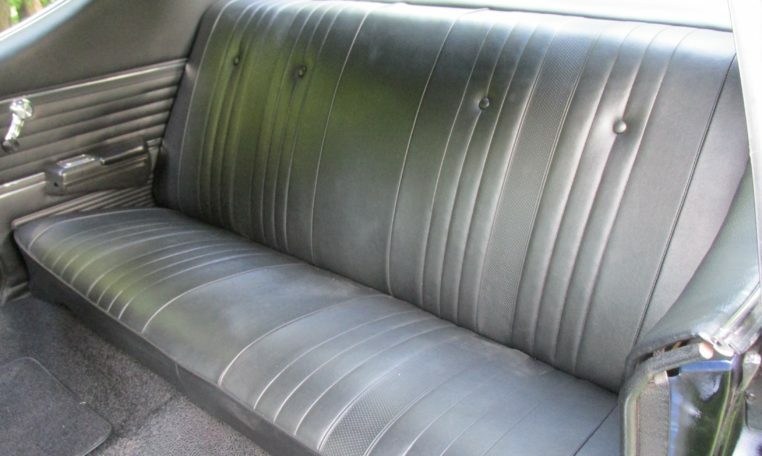 The carpets, seats, upholstery, and dash are all in excellent condition. 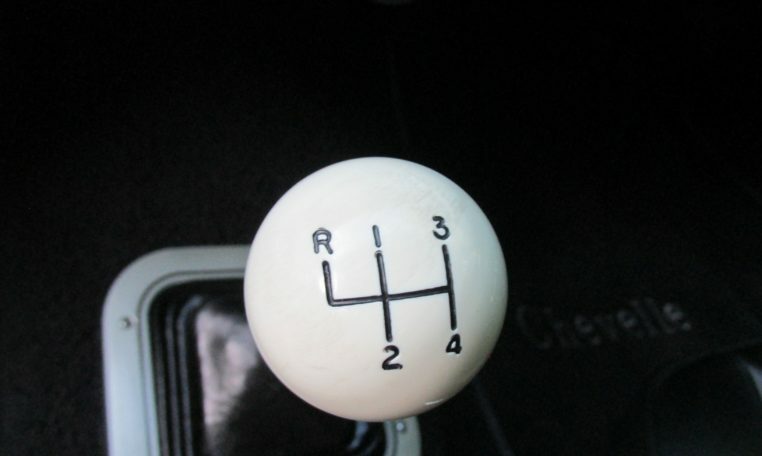 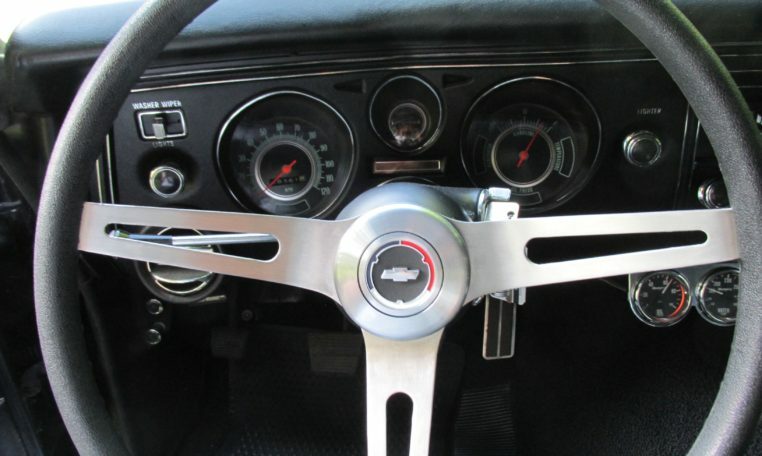 The 4 speed shifter feels great in your hand and the gauges are all clear and easy to read. 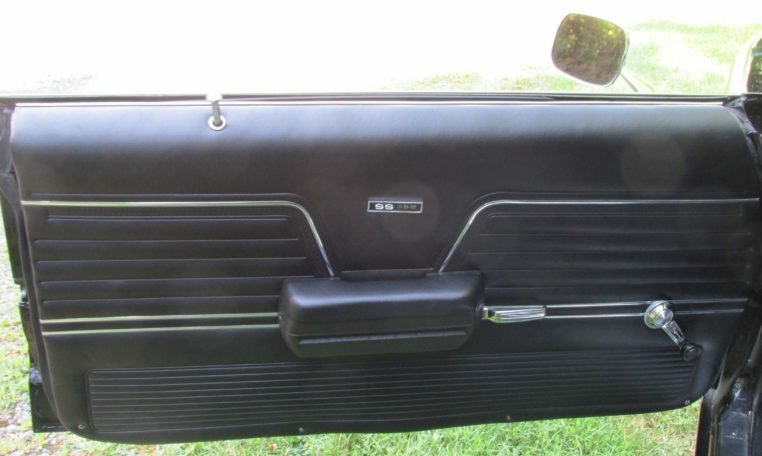 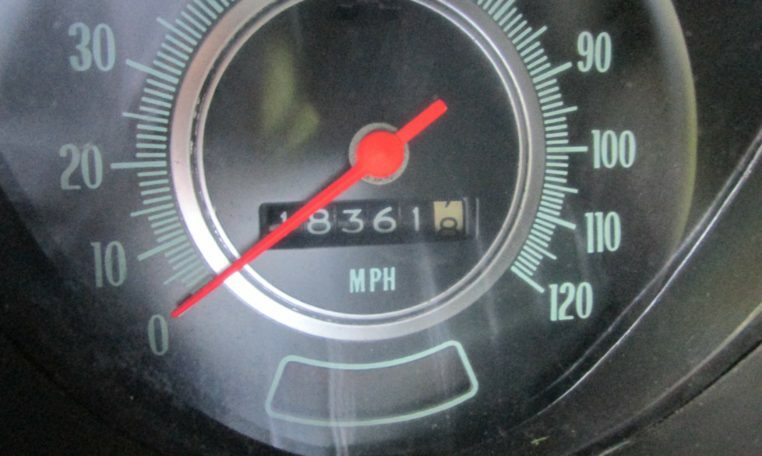 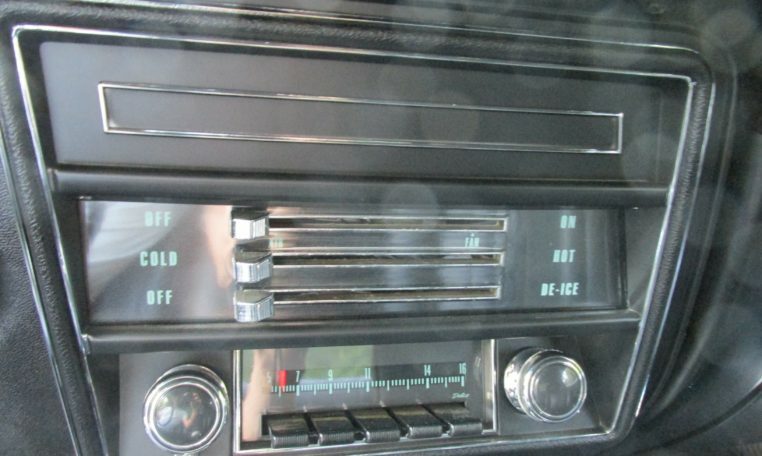 There are a few additional aftermarket gauges mounted below the dash. 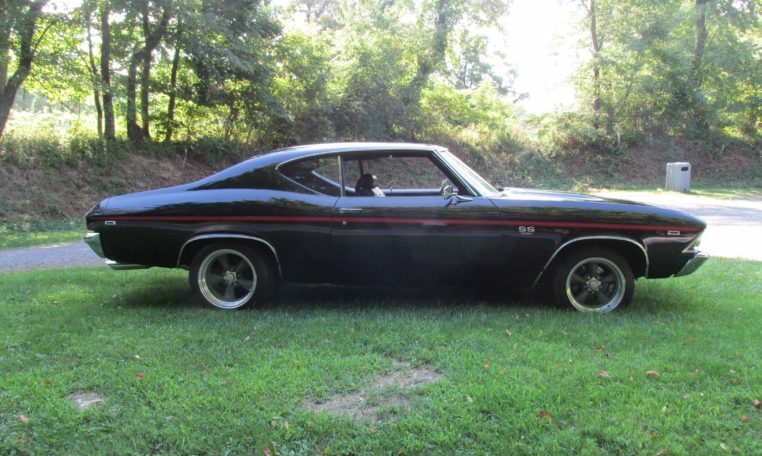 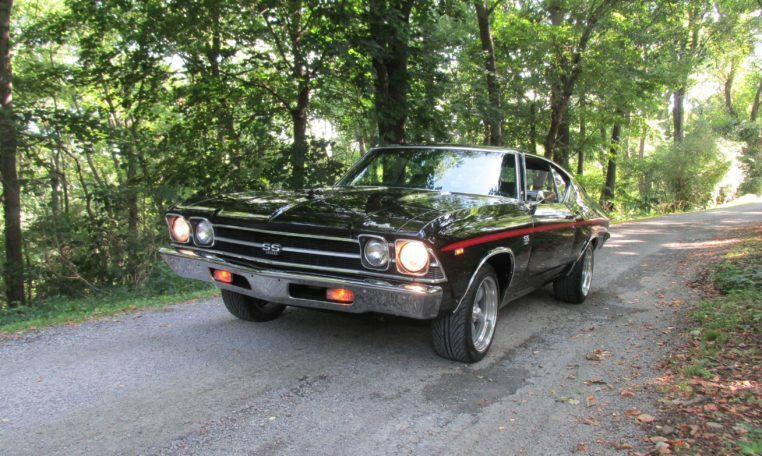 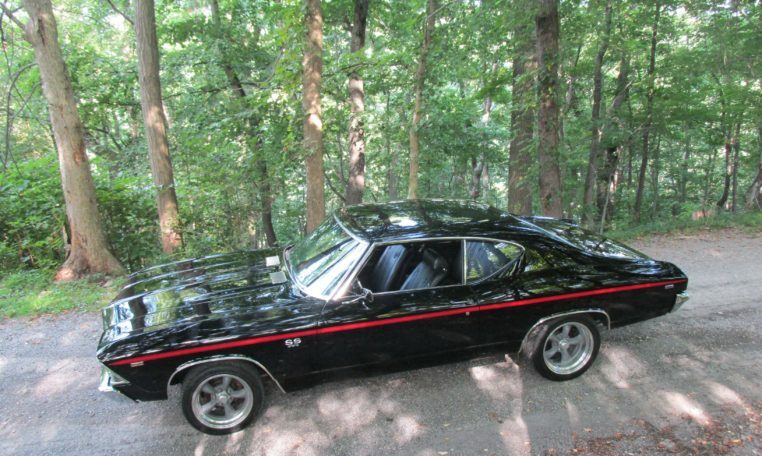 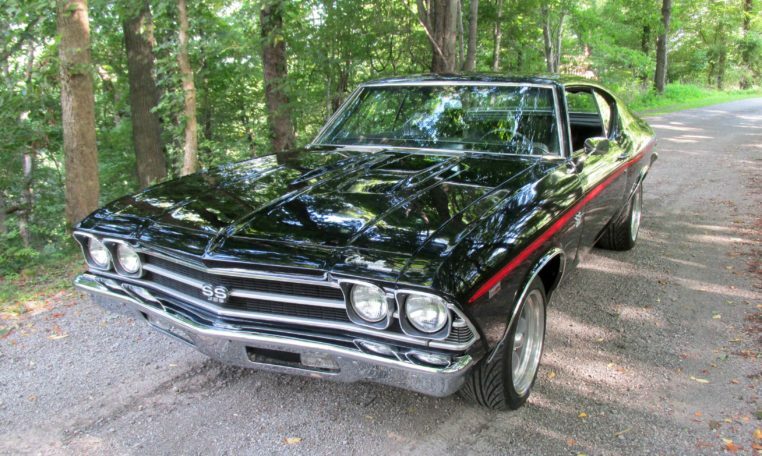 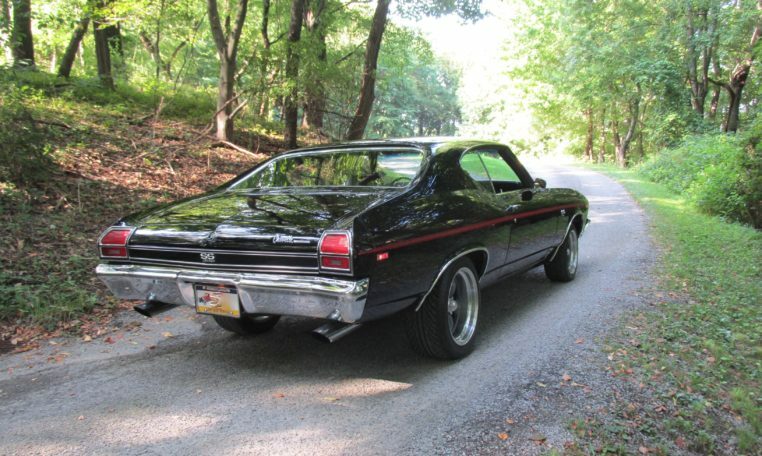 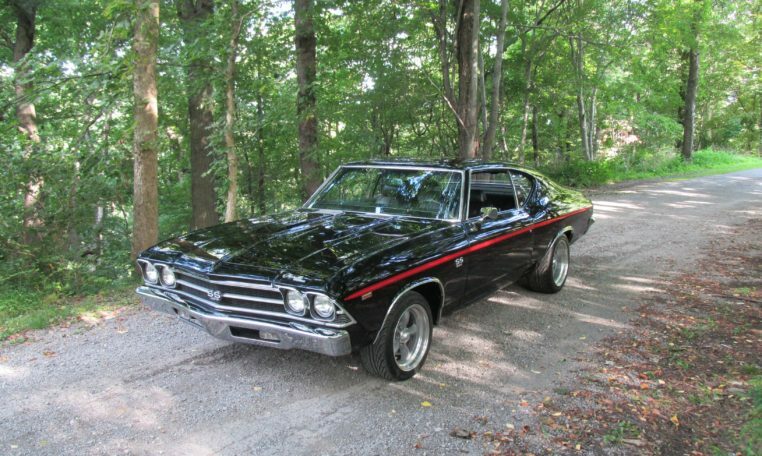 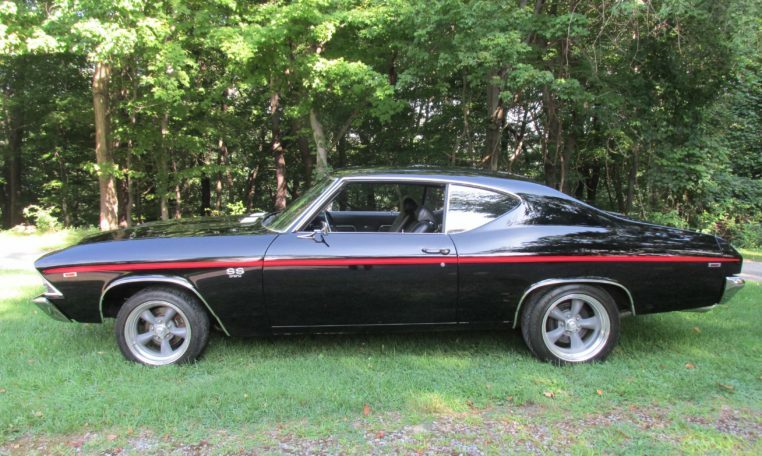 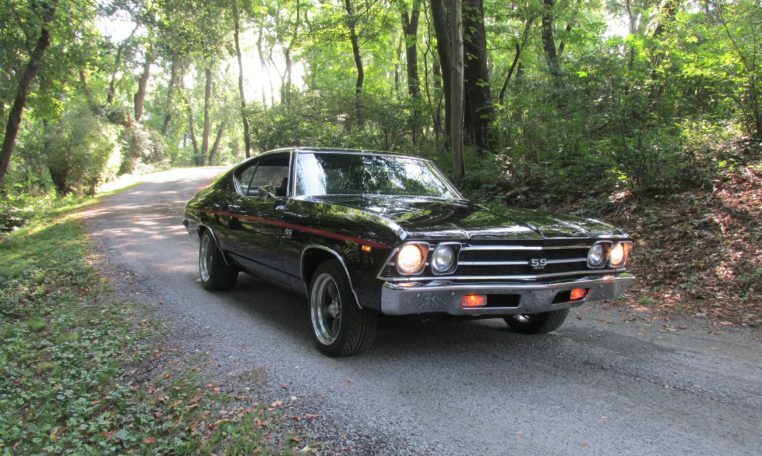 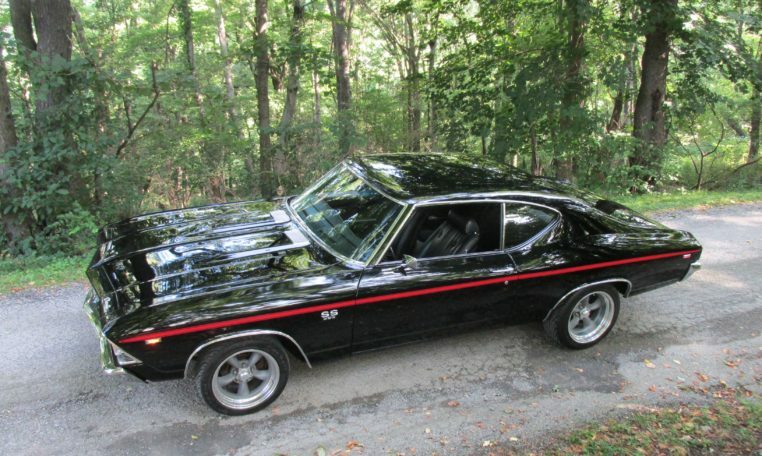 The exterior of this Chevelle is finished in gloss black with a red stripe on either side. 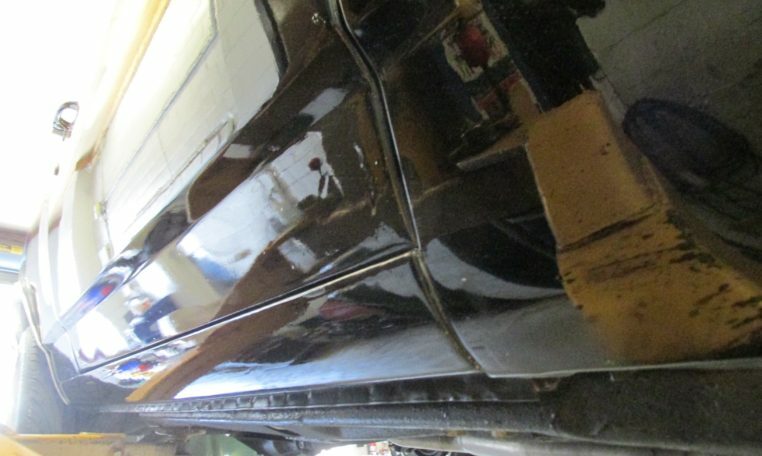 The paint is in excellent condition for an older restoration. 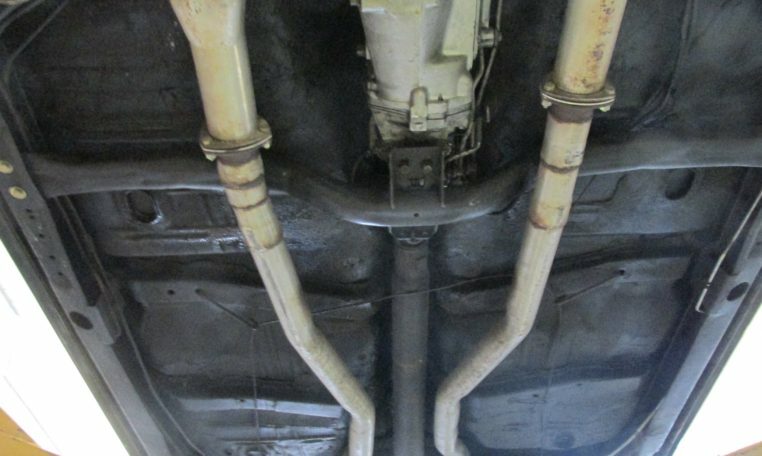 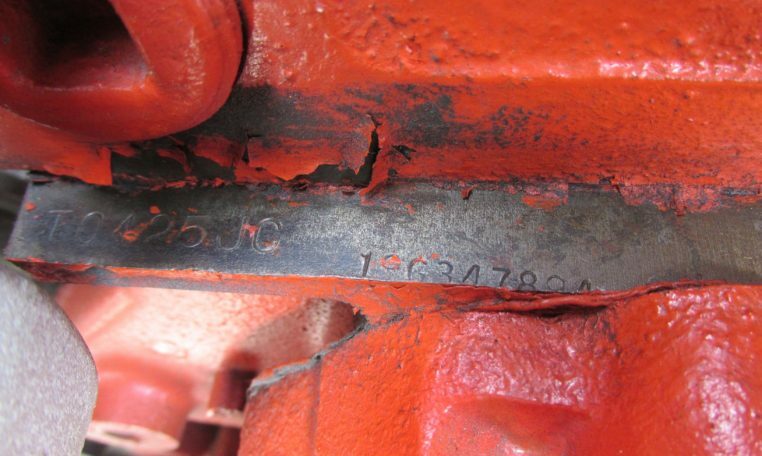 There are no signs of damage, rust, or excess filler on this car. 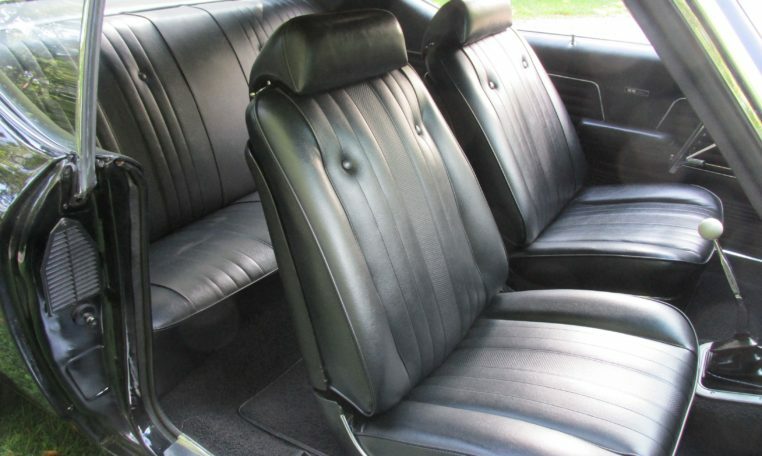 Without doubt it was professionally restored. 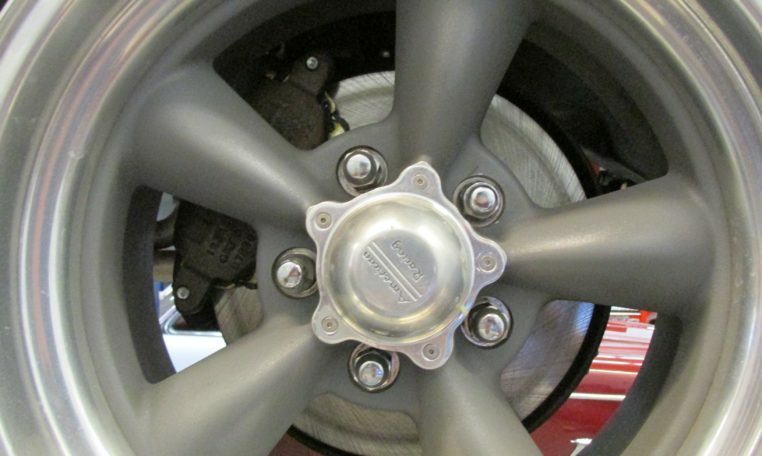 17 inch American Racing wheels suit the car perfectly. 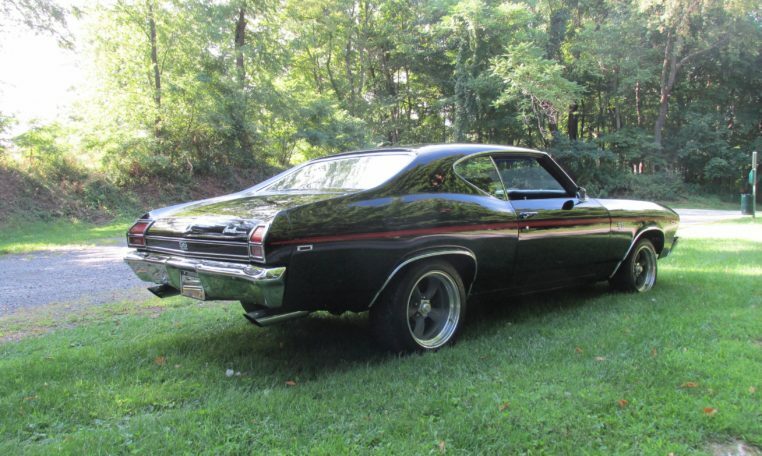 This ‘69 Chevelle has performance to back up it’s killer looks. 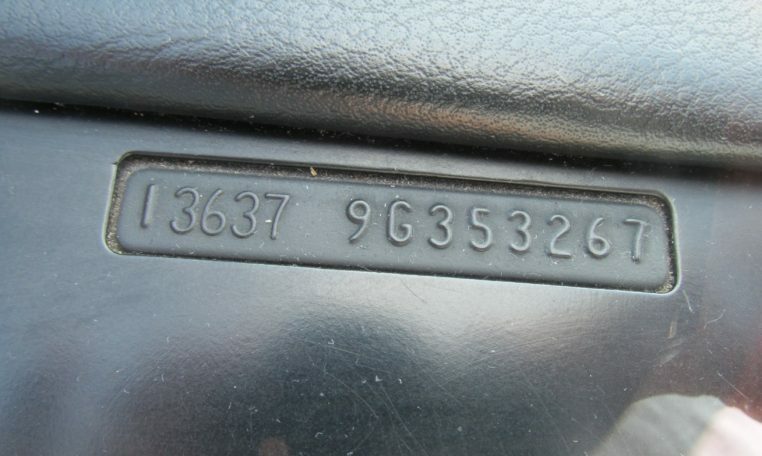 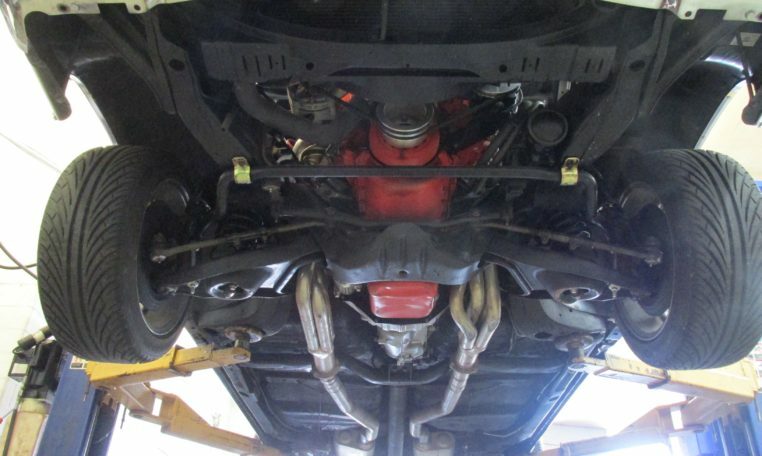 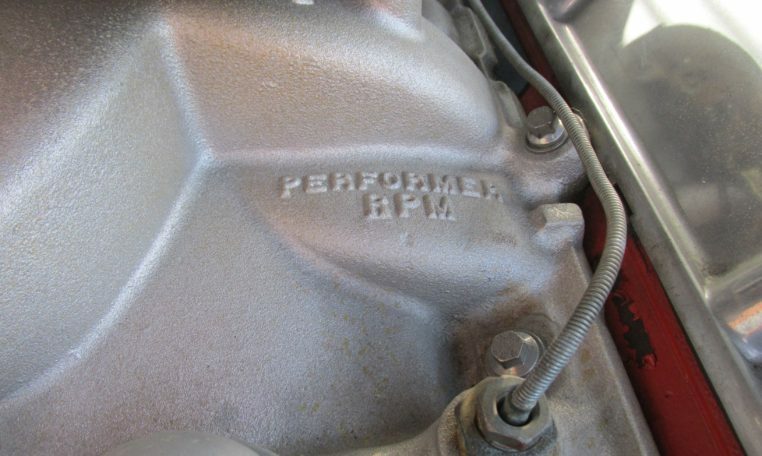 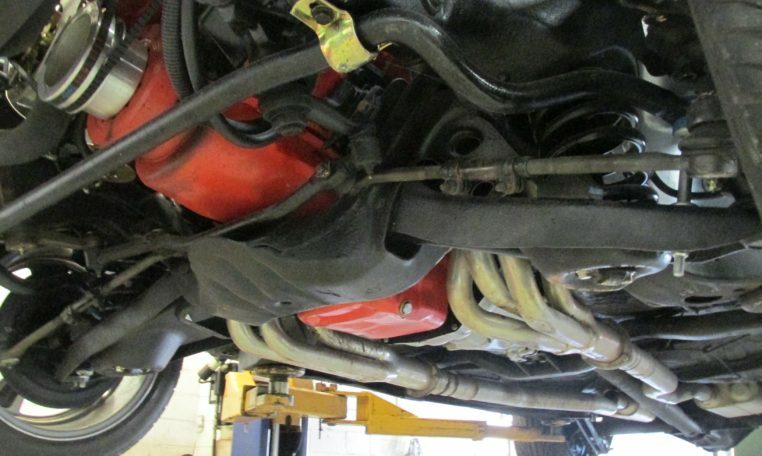 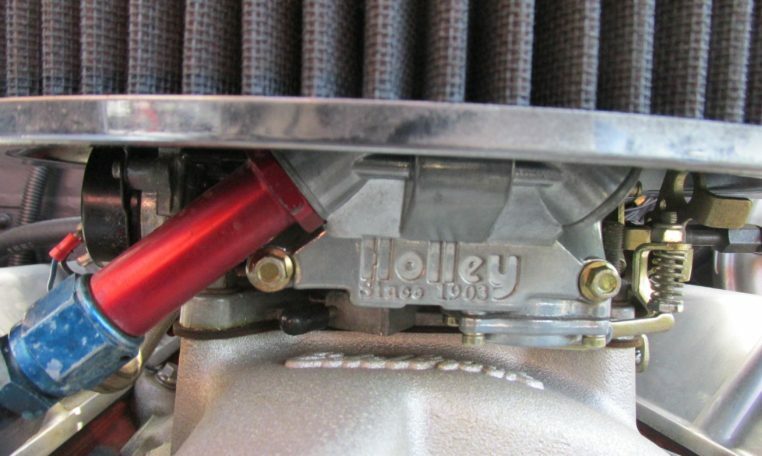 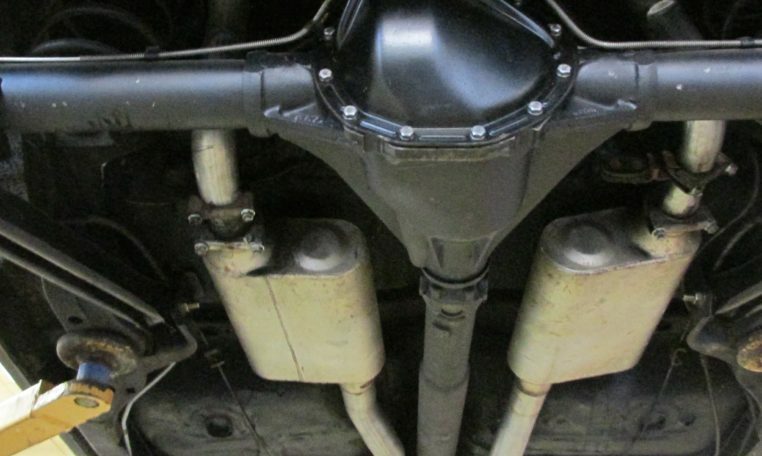 Mechanically, the car has a period correct JC code L34 350HP 396 with a manual transmission. 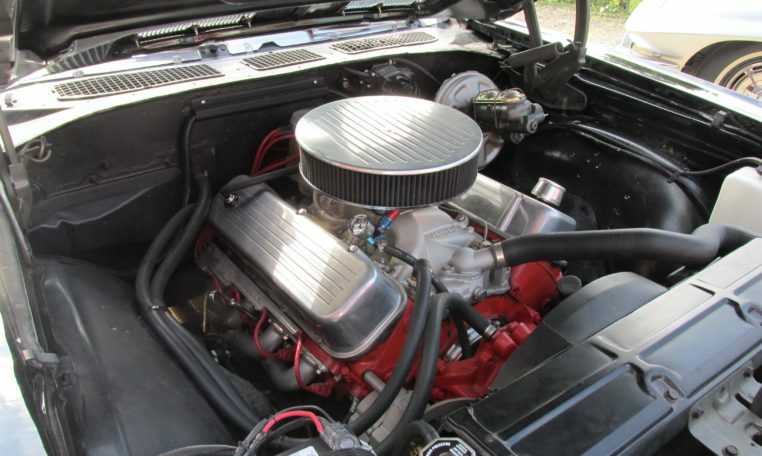 The engine was rebuilt in 2001 and bored .30 over to a 402. 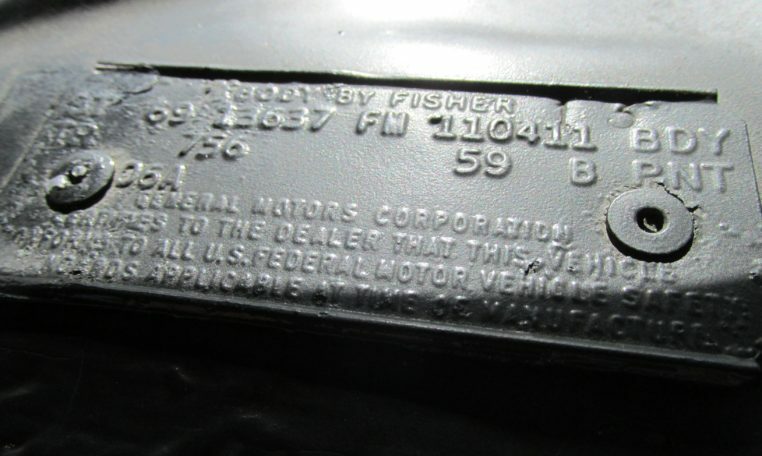 The owner has the receipts from the rebuild. 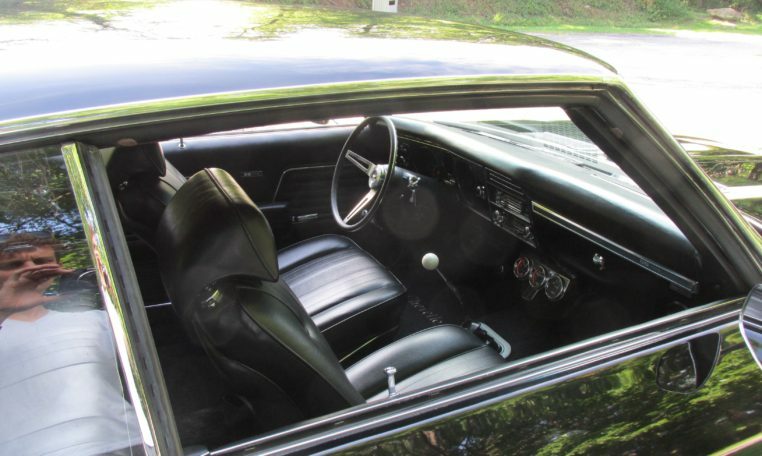 The car also has an M-20 Muncie 4 speed, 12 bolt 3.73 Auburn posi rear end, power steering, and power brakes with front disks. 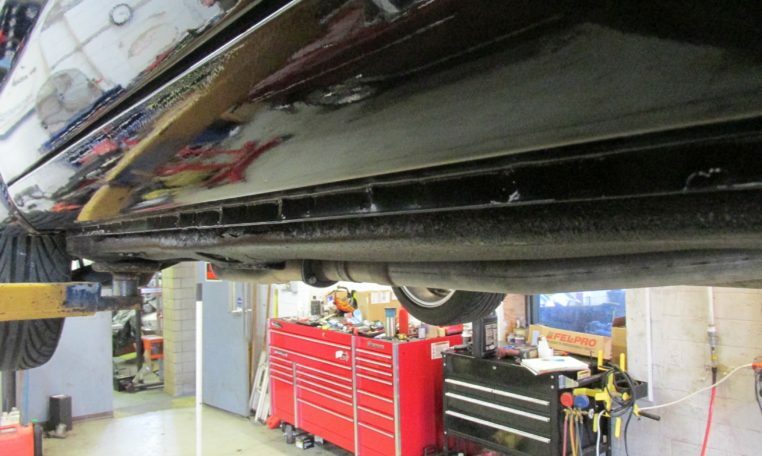 Give us a call, email, or stop by with questions.